Leather gloves: classic, on to fur, on lining, with embroidery, with finishing. Leather gloves are an excellent addition to men's and women's clothes. They were created to protect our hands from harmful outer effects, but with time they became a nice attribute of individual style and a mark of social status. Nowadays these «clothes for hands» remain their actuality. They have various forms and functions opening new and new spheres of their use. Classical gloves are as always leather gloves. «Shkirgalant» proposes a wide assortment of such gloves. It is the leader of Ukrainian production of gloves and it has been working in this market more than 30 years. 75% of produced goods are women's classical and exclusive gloves (more than 250 models), 20% of men's gloves (more than 60 models) and 5% - children's and sports gloves (more than 30 models). We have the production of women's bags (for about 20 models). These have the corresponding to the gloves design. Our assortment is universal. You can find here various models for your choice: simple and complicated, classical and ultramodern, chic and restrained, with trimming and without it. You can have your individual order of sport's and worker's gloves and other not-standard gloves. All gloves are made from natural leather of high quality. Men's, women's and children's gloves are made in cold and warmed variants. Hydrophobic leather. It has water-repelling characteristics. 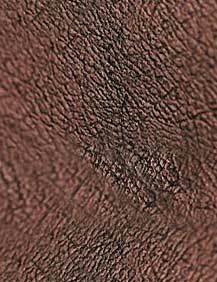 The leather of high quality from leaders of leather production in Great Britain and Italy. For example, our supplier is worldly known English producing leather brand «Pittards». We use its leather for an exclusive production. Qualitative leather but it is less expensive. It is Indian, Pakistani and Ukrainian leather. This leather is for mass production. Modern fashion and market have special demands to the quality and aesthetic appearance of the gloves. They must be elegant, beautiful, durable and strong. The glove must have comfortable places for fingers and fit the hands nice. The gloves produced by «Shkirgalant» have all these characteristics. Our specialists created new moulds which take into account sizes and proportions of the hands of people of manual or mental labor, people who live in different regions and countries and people who belong to different ethnic groups. This all is for the best of the gloves. The experienced modeler creates forms, style and cutting-out of the future gloves; the designer creates decorative trimming. Creative work of these two masters makes an unique harmony of forms, colors, texture of materials and elements of decorum. We achieve such high results due to a correct combination of leather characteristics in the gloves: lining, the technology of sewing, parameters of mould and skilled labor of our workers. We are constantly following new designs of the European gloves leaders. We regularly renew our assortment with new models, so our gloves are made with modern tendencies in decorum and color. The production of «Shkirgalant» could satisfy mass demands and refined demands of elite (we create exclusive models for them). The system by-hand cut-out allows to see all defects of raw materials and to reject the materials of low quality. Individual work with article, by-hand assemblage and trimming allow us to have a high accuracy in the performance of the model. We have a «soft» price policy and constantly widen our presence at regional markets to make our production available to all categories of the customers. Appeal to our office in Vinnitsa about a whole-sale and partnership. We are always ready for partnership!